“The first criminal charges in connection with the BP oil spill have been filed against a former BP engineer named Kurt Mix,” NPR’s Carrie Johnson reports exclusively. Carrie just told our Newscast unit that Mix has been charged with obstruction of justice for allegedly deleting text messages after the spill. 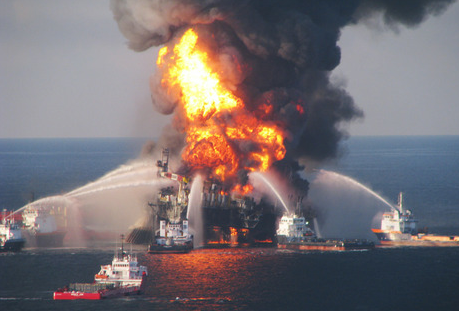 The texts were related to the amount of oil gushing into the Gulf. Mix will make his first appearence in court today. Carrie adds that there has been an expectation that criminal charges would be brought against individuals, but this is the first person charged since the spill happened two years ago. These are preliminary charges and a law enforcement official says there are more charges to come, Carrie reports. We’ll have more on this story as it develops.